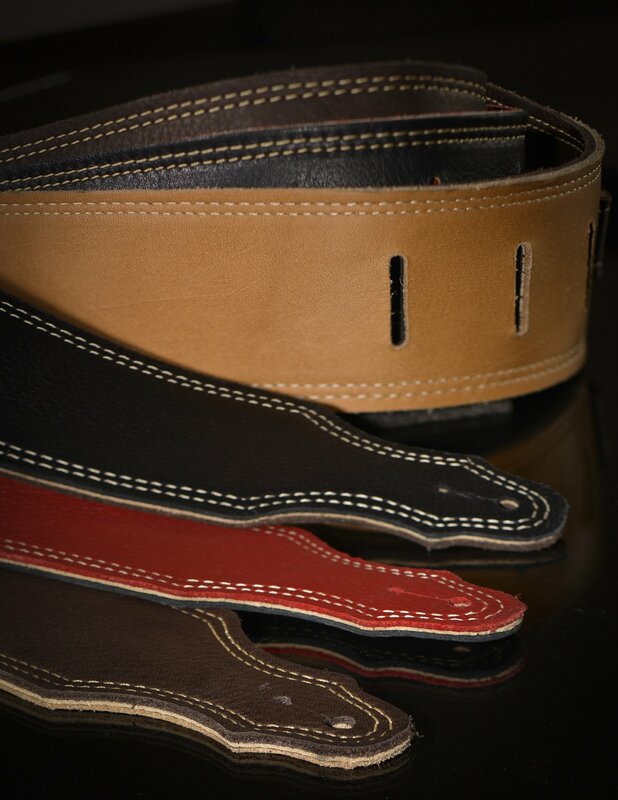 These reversible straps have three layers of remarkably thick supple leather edged with a double trace of natural stitching. The timeless design, combined with premium quality leather, results in an understated elegance and a versatility that will compliment any guitar color. This is a strap that you will be as proud to wear twenty years from now as you will be for this weekend’s gig.